West Boylston, Massachusetts, April 11, 2019 – Curtis Industries today announced the release of a universal ROPS-mount aluminum canopy. The canopy’s design allows it to be mounted to straight or angled ROPS. The lightweight canopy is constructed of 1/16 inch aluminum with textured black powder-coat finish and protective plastic edge trim. Features include: integrated steel handles, quick release latches and self-centering blocks for ease of handling when attaching or removing the canopy. Installation takes minutes with the Curtis pivot mount system that attaches to the vehicle 2-Post ROPS using 2 U-bolts. The canopy snaps into place on the pivot mount and allows for adjustable positioning – slides 6” forward or back and angles up to 36 degrees to provide maximum operator comfort. 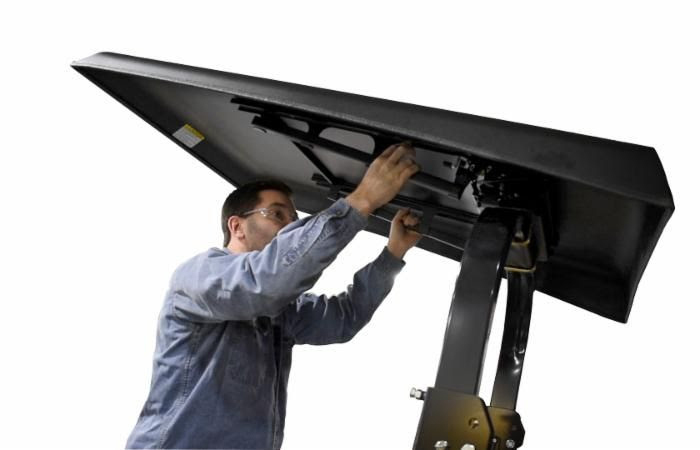 In addition, the canopy can be reversed for attachment in the rear facing orientation to provide cover while operating the backhoe. Durable yet lightweight, the canopy weighs less than 30 lbs. and measures approximately 56” long and 42” inches wide at the back, tapering to 37” in the front. The Curtis Advantage Canopy is made in the U.S.
AcreageLife is the resource for people who enjoy country living, whether it’s an annual visit to a distant property, summer weekends filled with hard work at a future retirement spot, or enjoying your acreage as your main residence each and everyday, AcreageLife magazine speaks your language.